iOSnoops is constantly on the lookout for new apps, and here are 59 iPhone and iPad apps that were released recently. 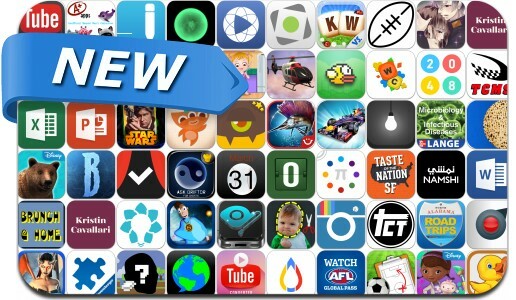 This new apps alert includes Star Wars: Assault Team, Ace Fishing: Wild Catch, Microsoft PowerPoint / Word / Excel, Fly Your Face, Namshi, Pot of Legend, Words & Cards, Shattered Planet, iLasso, TodoMovies 3, Red Bull Racers and many others. 2048 - Better than Kittens!